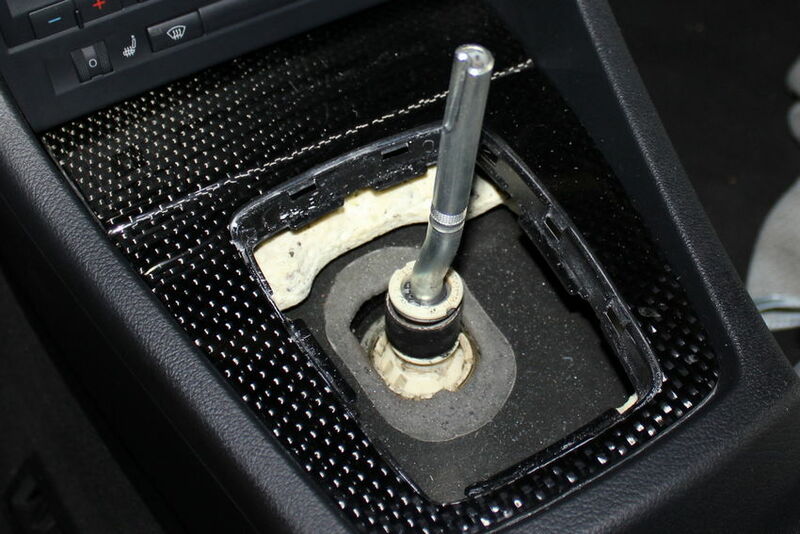 Once the boot is loose from the interior trim, you can pull the boot up and above the knob to expose the metal fastener that holds the knob down. You can’t simply pull the knob off, but instead this metal clip must be removed. Audi designed these retainer clips to be a one-time use, so you’ll basically destroy it. I picked up a new hose clamp from a nearby hardware store for $1.50 to replace it. 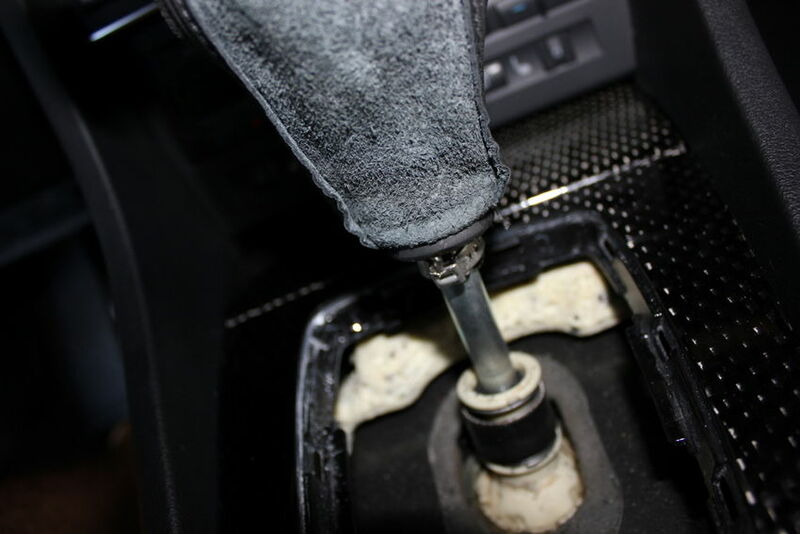 To make sure I had the right size I just brought the shift knob & boot into the store and sized it up in the aisle. Make sure the top of the knob is lined up correctly, then push down all of the way until you hear it pop or click into place. 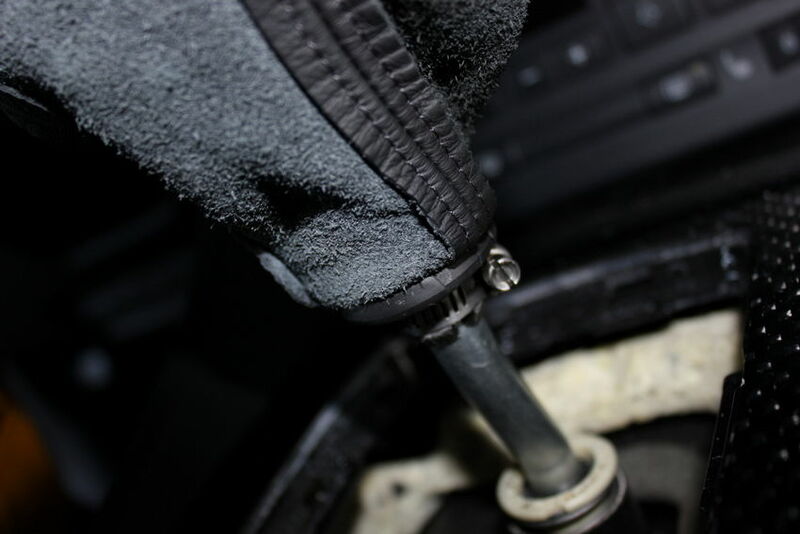 Once it’s in, tighten the screw down as tight as you can so the knob never pops off during spirited driving or hard shifting. 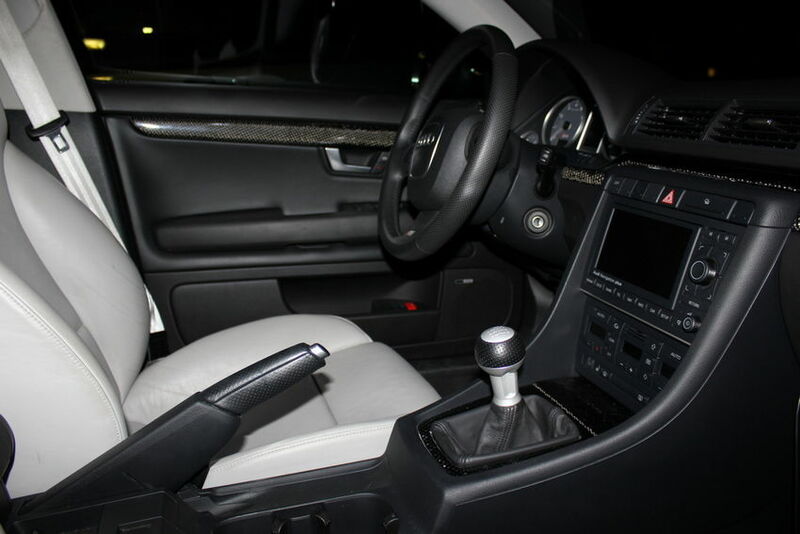 Lastly, pull the shift boot down and snap it back into place with the interior trim, and you’re set. 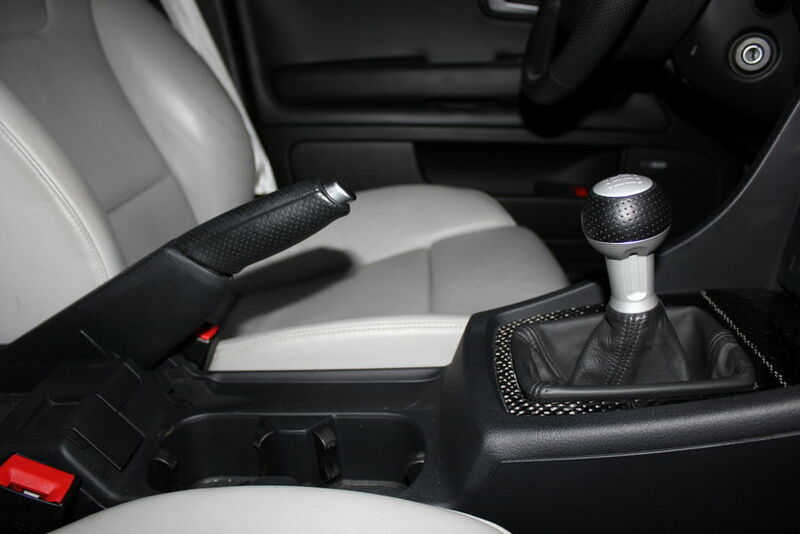 Hi Nick and all, I purchased a new S-Line gear knob and turns out the inner white plastic shaft is longer than the original. The fit does not seem right. Has anyone come across this problem? Thanks Nick. 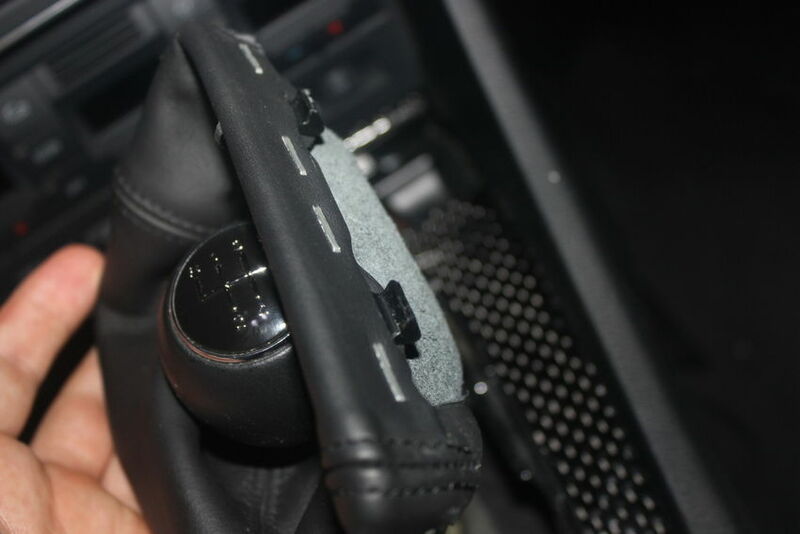 So I got the new S-Line gear knob installed, with my original leather boot. It certainly is higher than original fit, once clamped down. The gear change feel is not so good. 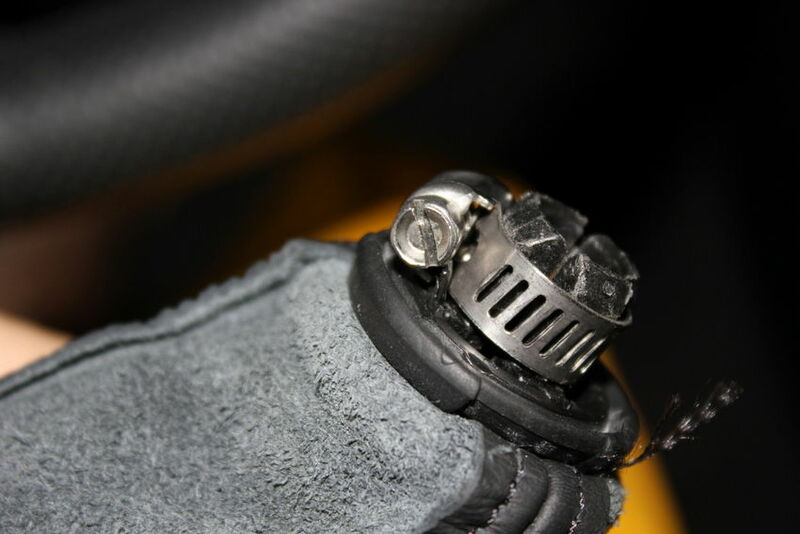 The photo of your RS4 gear knob where the clip fits looks like original part fit, right where the boot fits. Mine is probably 1-1.5 inch longer from where the boot fits, making for a higher gear knob. Gear change is now notchy. 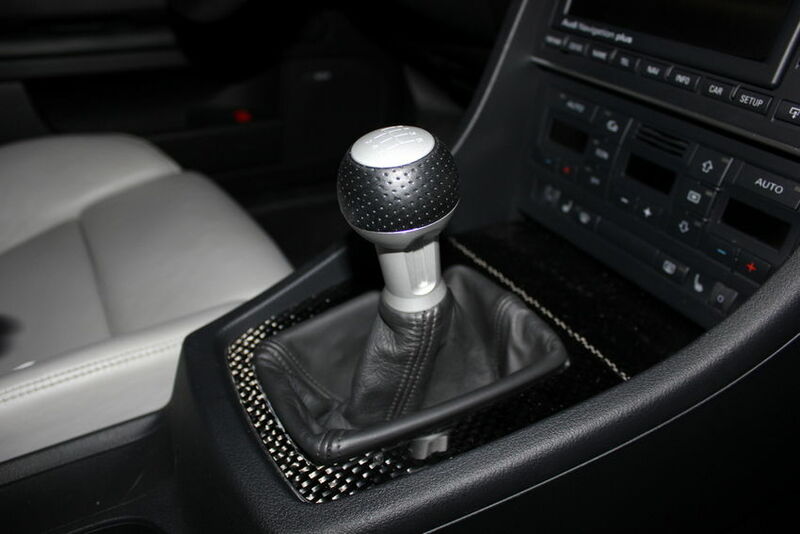 I might consider buying the RS4 gear knob with new boot fitted. 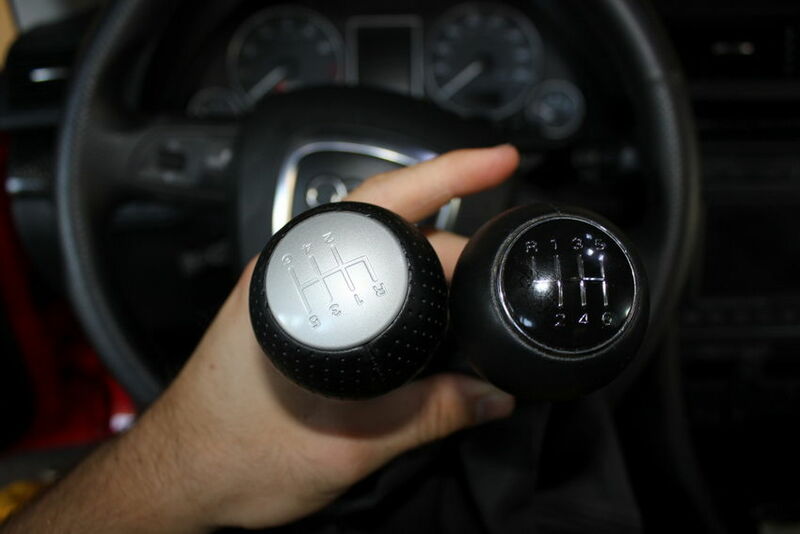 can you change one for an automatic transmission?